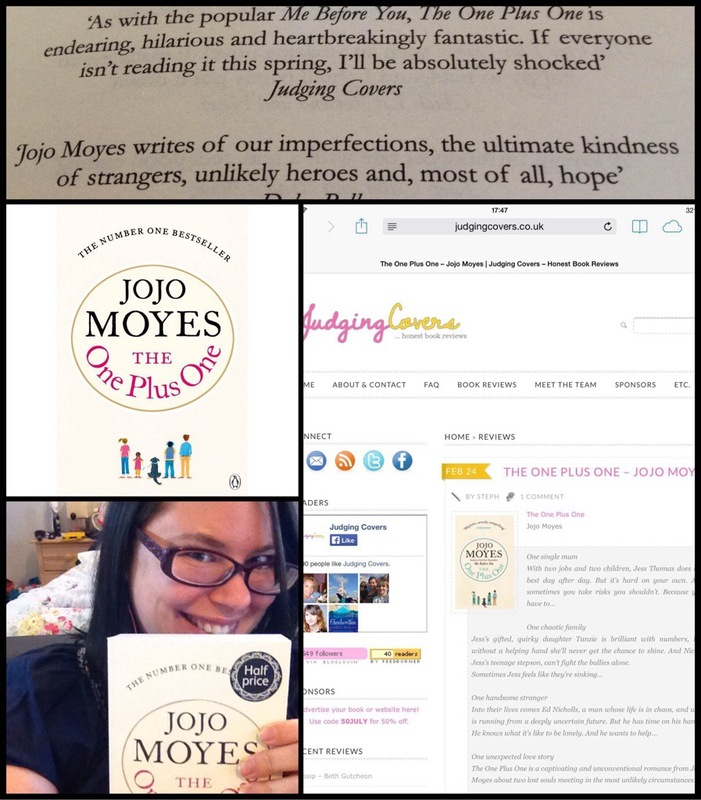 My Judging Covers review of Jojo Moyes’s super brilliant The One Plus One was quoted in the paperback edition which came out yesterday. Total shock to me, so massive thanks to Twitter for clueing me in and giving me a great Friday surprise. Normal service will resume tomorrow. Time for a cheeky, celebratory beer!